Idina Menzel has just revealed her first concert of 2017. It's going to take place April 14 in Los Angeles at the Greek Theatre. 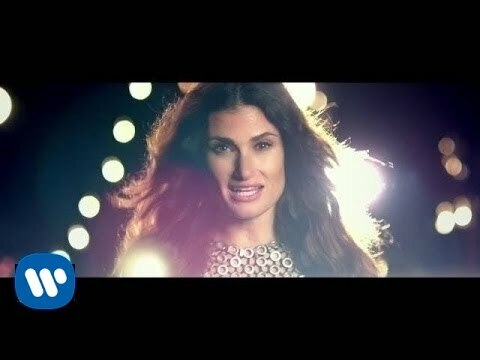 As of now, no other Idina Menzel concerts have been announced for 2017. There's also no word on if this is going to be a stand-alone show, or if this concert is part of an upcoming tour. There's four different pre-sales for her April 14 concert. The fan and AMEX pre-sales begin Dec. 13 at 10 a.m. Pacific Time. The Spotify and Live Nation pre-sales begin Dec. 15 at 10 a.m. Pacific Time. For the fan pre-sale, you need to use the password "IDINA" at checkout. Tickets for Idina Menzel's concert at the Greek Theatre will then go on sale to the public Dec. 16 at 10 a.m. Pacific Time here. Tickets range from $40 to $190, and each household can only buy six. According to the press release sent out today, at Menzel's upcoming concert she'll perform her hit singles as well as songs from her most recent album, idina. That album came out this past September, and it was her first studio album to be released since 2008's I Stand. Between studio albums she did put out a live album in 2012, and a holiday album in 2014. In 2013 she reached massive mainstream success with the song "Let It Go," which is from the movie "Frozen." Even though Menzel is widely known for her work on the movie "Frozen," no one under the age 5 will be let into her upcoming concert at the Greek Theatre.